Sabian 16" SBR Chinese Crash Cymbal 16 in. 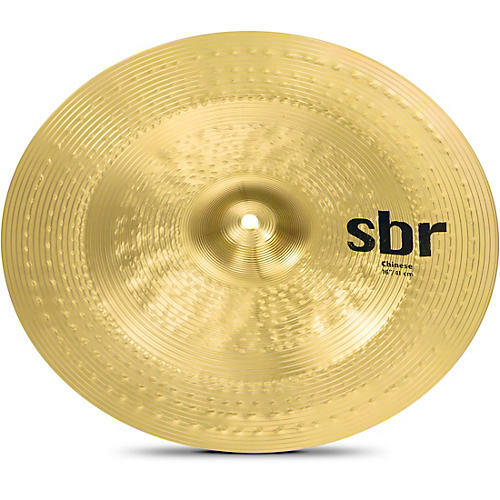 The first Chinese model in the SBR family, the 16" SBR Chinese crash cymbal is tonally tight and bright sounding, with plenty of brash trash in its tone. It's a great effect at an even better price point. Hammered and lathed, SBR cymbals are the absolute best brass cymbals for creative beginners.